Please continue reading below and If you have any questions concerning this product, please contact us prior to ordering. An ongoing issue with natural stone products is the difference between the customer’s expectation of the appearance of the marble and the surface texture irregularities that are inherent to natural stone surfaces. Customers often expect a polished, glassy smooth finish, with absolutely no signs of fissures (extremely small cracks which may contain mineral-bearing material), indentations or veining. This is not only unrealistic, it fails to consider the characteristics that make marble and other natural stone products so amazing, unique, and naturally beautiful. Fissures and veining are inherent of marble and considered acceptable. Fissures and veining are in no way a structural defect. 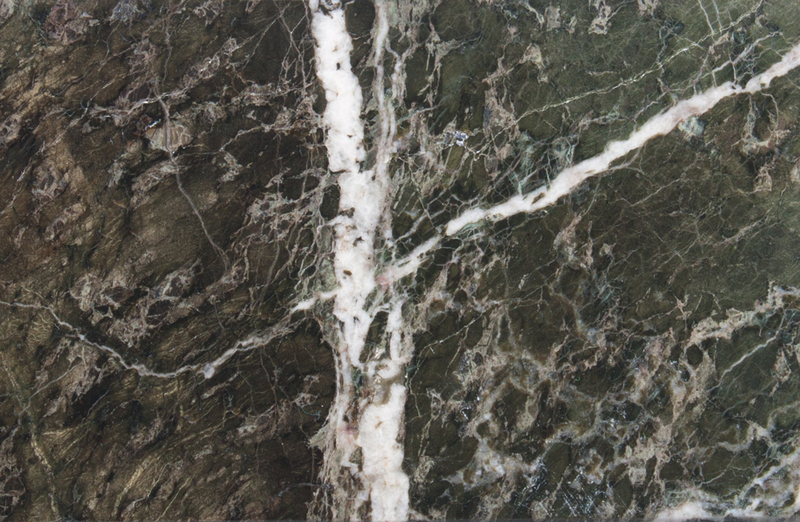 Close-up images of black marble and green marble. 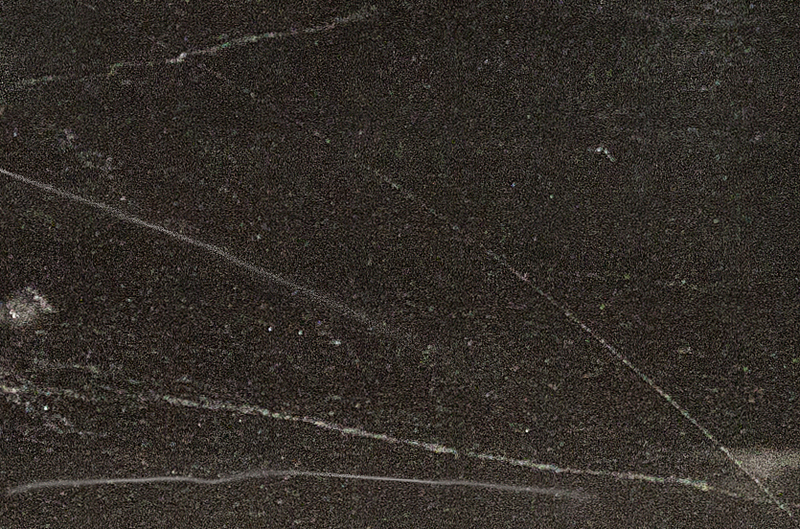 Close-up view of a black marble desk plate showing a white fissure. Some marble desk plates may have more or less fissures than others. Marble is not right for everyone. Since it is a natural material, you can expect irregularities. If you are looking for a solid color desk plate, we have many other types of desk plates we offer. Click the image to the right to see more. Featuring engraving directly on the desk plate, these desk plates also come with various colors for engraving. These desk plates feature a marble base with different color metal name plates.